As today’s brands and businesses increasingly focus on the entire customer experience rather than just the product or service itself, they are finding innovative ways to enhance the pre-purchase and post-purchase phases of their clients’ experience. Accordingly, companies are creating augmented reality-based experiences that provide customers with post-purchase suggestions, such as recipes and food pairings, to enhance how they engage with and use the product. London-based wine company Sipp’s subscription service, SippCLUB, is an augmented reality wine club and app that provides wine drinkers with suggestions for food pairings. Customers open the app on their phone and hover their camera over the bottle label to receive tasting guides on what food would go well with the beverage, as well as the best temperature to store the wine and related product information. Alcoholic beverage brand Bombay Sapphire collaborated with music recognition app Shazam to create an augmented reality experience that allows users to receive suggested recipes via the bottles’ labels. Using the Shazam mobile app, shoppers can hover their phone’s camera over a Bombay Sapphire label to prompt exclusive video content that showcases a series of unique cocktail recipes. 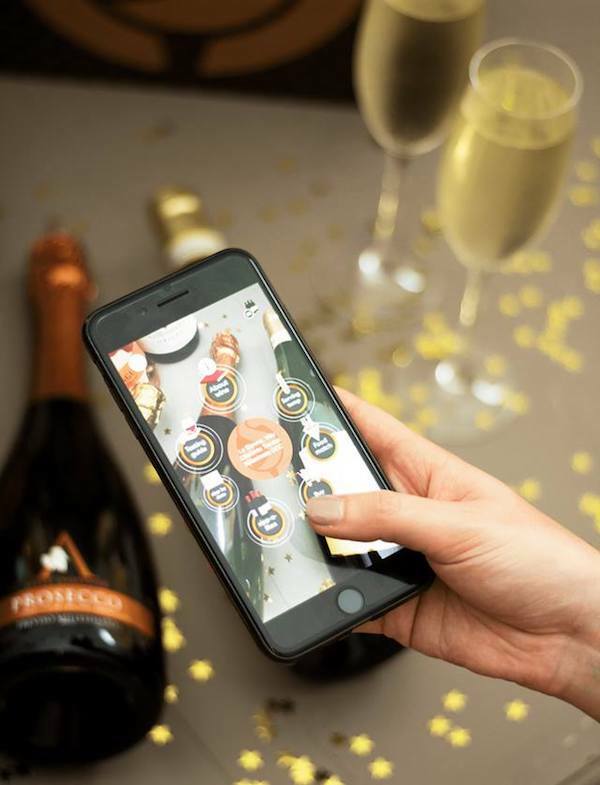 Offering complementary beverage pairings and extras via augmented reality technology is just one tactic brands are employing to increase consumer engagement with their products and services. For more inspiration, see PSFK’s report Applying AR & VR In CPG Retail.